FRED VAN DYKE 2 July 1929 - 13 Sept. 2015 Fred Van Dyke, born in San Francisco, 2 July 1929. Graduated from St. Anne's, Lincoln High & SF State College. Taught in Boulder Creek, Ca. & 30 years at prestigious Punahou School in Honolulu. 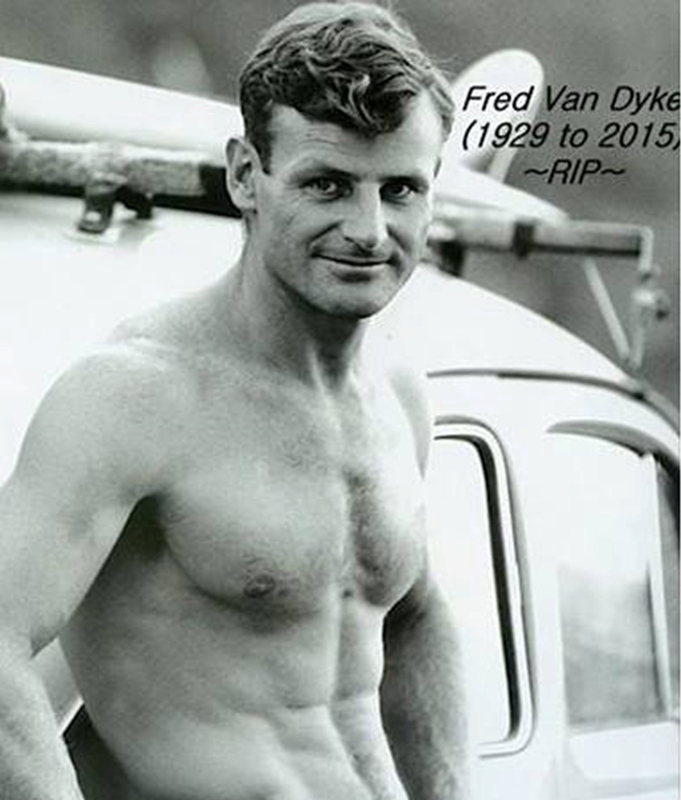 Fred was a waterman; lifeguard, swim instructor, surfer in Santa Cruz, pioneer big wave rider on Hawaii's North Shore. He created & was director of the Duke Kahanamoku Invitational, the first surfer's competition at Sunset Beach. Fred was a writer; contributor to surfing magazines, editor, author of five books (30 Years of Riding the World's Biggest Waves, Once Upon a Wilderness, Riding Huge Waves With Ease, Two Surf Stories for Children [ages 5-105], Once Upon Abundance), narrator of the 1st surf films, a great storyteller & a motivational speaker. Fred was featured in numerous surf films. Fred was also a pioneer in health & fitness, serious about diet & training whose lifestyle inspired many younger athletes. Fred treasured his mountain life in Montana; hiking, back- packing, fly fishing, floating rivers. Fred was always straight forward, unpretentious, mindful & a giver. His enthusiasm, energy, good humor were infectious. He was a loyal friend & dearly loved his wife JoanMarie. Fred deeply touched many lives, his joy, those blue eyes & smile will be remembered. Memorial gifts: Surfrider Foundation, Greater Yellowstone Coalition, Punahou School. Celebration Paddle Out Waimea 24 October.